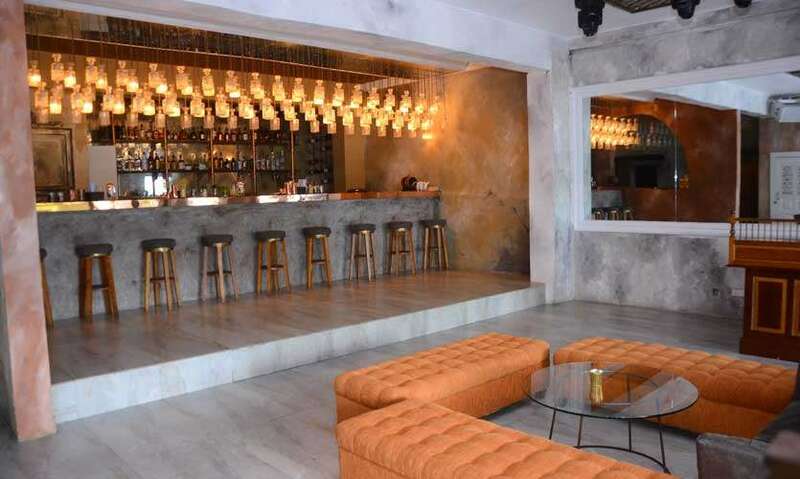 A speakeasy is not a concept that we are very familiar with in our sunny isle - yet - but Anika and Dimitry Fernando bring us this vintage experience at its best. Your first step into Ask for Fern takes you back in time to the Prohibition era of the 1920s’, when the illegal but profitable bars became the most exciting places to be at. Anika and Dimitry Fernando come from a family that has been in the hospitality industry for over 2 decades. They are the children of Russell Fernando whose name, along with his brother Geoffrey Fernando, is synonymous with the music field and nightclubs like R&B, Clancy’s, H2O, Silk and Sugar 41. It’s easy to see where the name ‘Fern’ came from, being the first four letters of ‘Fernando’, making it a connection that is close to both the hearts of Anika and Dimitry. As you step through the antique refrigerator door and pass through the cast-iron gates, you will be struck by an overpowering sense of nostalgia as you ascend the stairs. 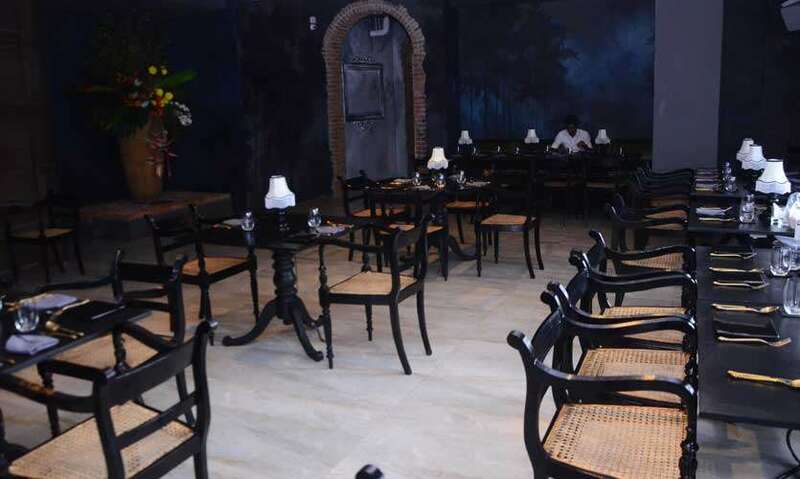 The candle stands, the wall décor, the ceiling which is papered with newspaper prints of actual events in the 1920s’, the mirrors and the vintage accessories all combine perfectly to give you a heady experience of an era gone by. Once inside, you will be captivated by the charm, appearance and ambience of the place. The dining area, restaurant bar and outdoor balcony lounge have been designed with the 1920s’ in mind, such as the exposed pipelines, wallpaper and washroom fittings. The ladies washroom is said to be the perfect place for girly tête-à-têtes and selfies...speaking of which, this is an ideal place for a first date so girls and boys, take notes. 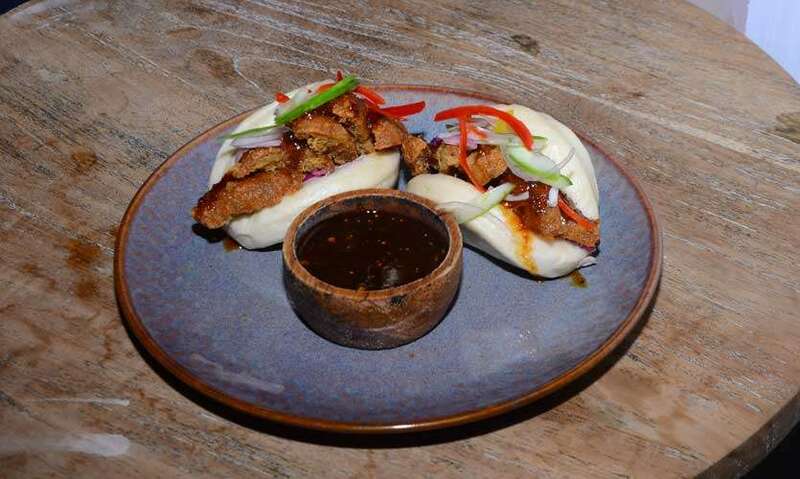 Chef Tyrone says that they focus mainly on fusion in their food and beverage menu, complementing both with Sri Lankan ingredients wherever possible. 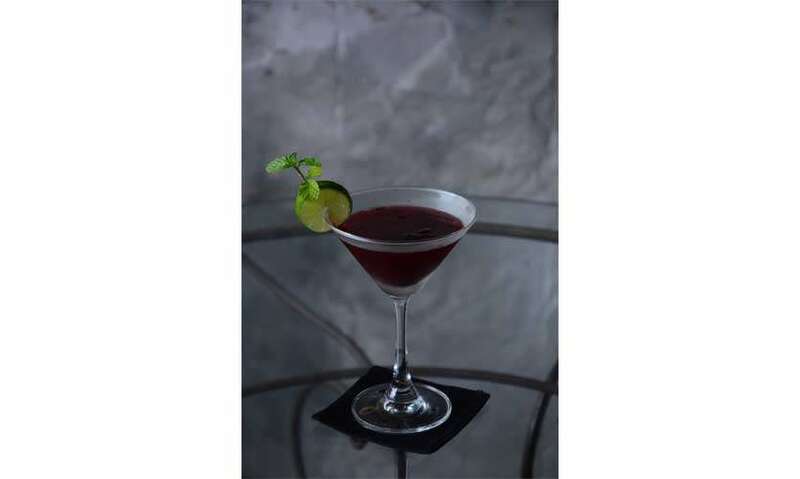 The beverages served at the speakeasy are on point in their presentation and have unique personalities of their own: ‘Mrs Robinson’ is simple but seductive, just like most of us girls out there and (no surprise!) this is a favourite with the ladies. 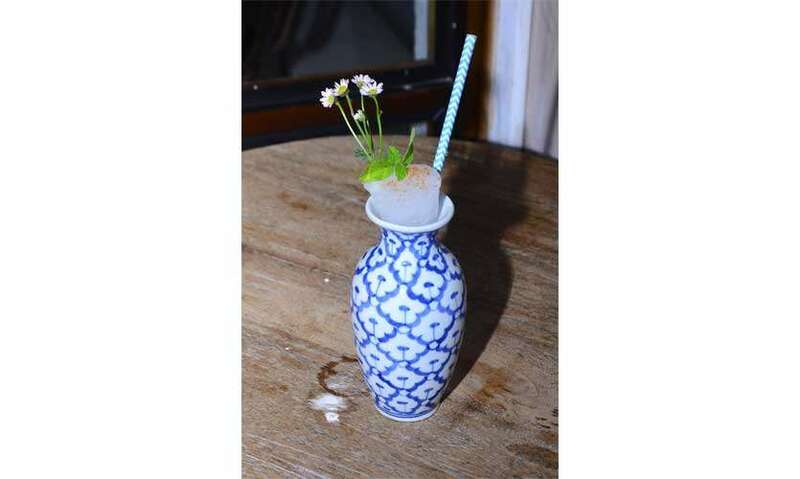 ‘Lapai Sipai’ is a popular choice with tourists because they favour its piquant taste of tamarind and its presentation in a pretty Chinese vase. 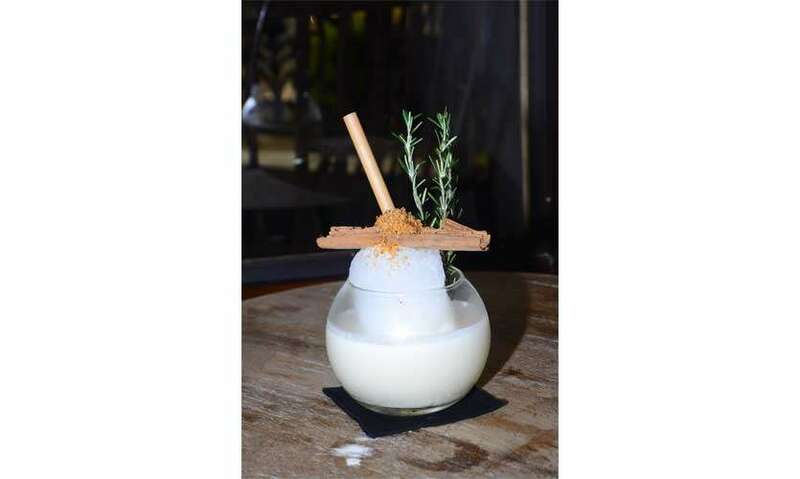 ‘Loco for Coco’ consists of mostly local ingredients and the sweet and unique coconut taste makes it another popular favourite with the ladies. Note: take a video when its served to you - you won’t regret it. 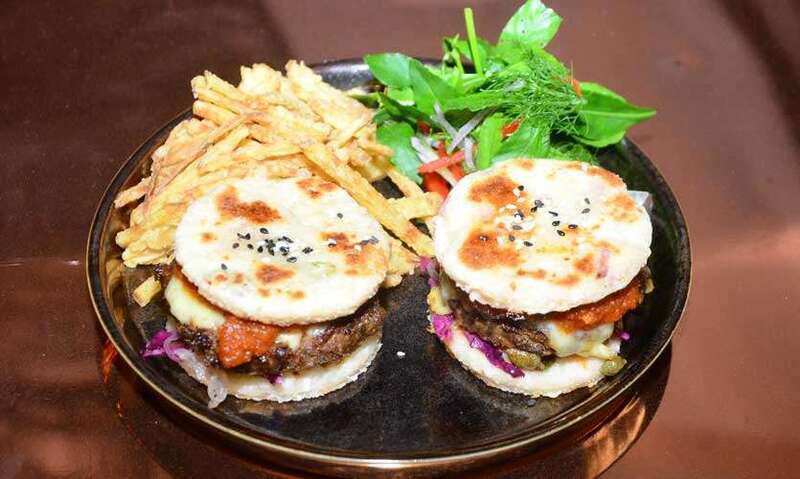 The Beef Bulgogi Sliders are a new addition to the Fern menu and comprise of beef with a spicy homemade sauce; the bun has been replaced with a fluffier version of the Sri Lanka coconut ‘roti’. 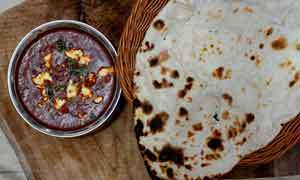 The spicy beef is tender, cooked to perfection and is served with a salad of ‘gotukola’ and fennel leaves. The meal is accompanied by thin potato chips and can be shared by two as it is quite filling. 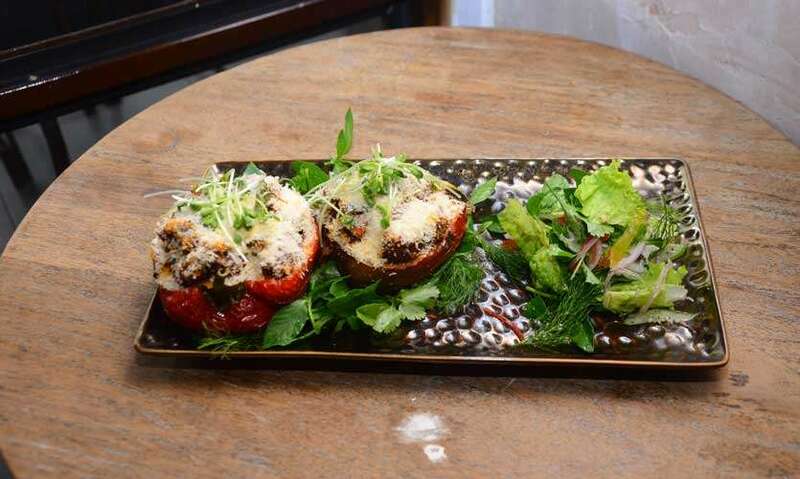 Another item that can be shared is the popular Spicy Stuffed Bell Peppers, which is a favourite with vegans and vegetarians. The oven-roasted bell peppers are stuffed with eggplant, zucchini and pumpkin, tossed in a spicy sauce and are topped with toasted panko breadcrumbs. 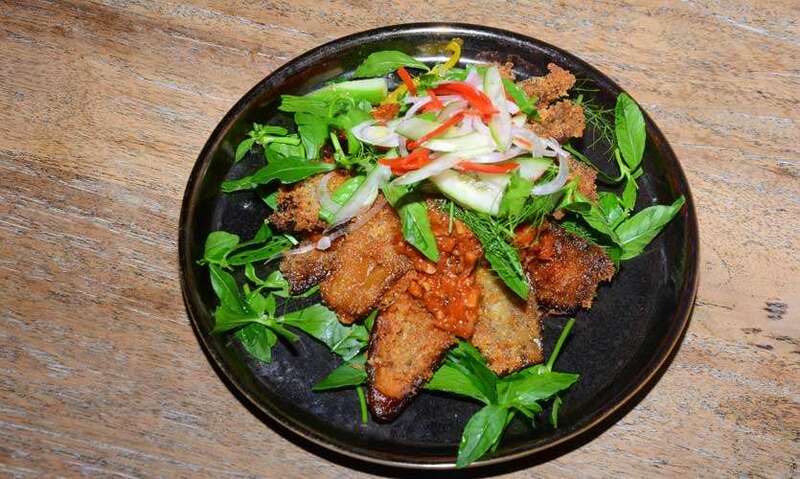 Chef Tyrone has introduced the new Eggplant Stack, which consists of crispy, garlic-crumbed and batter-fried eggplant served with a fresh, slightly spicy tomato puree which adds tang and zest to this dish. 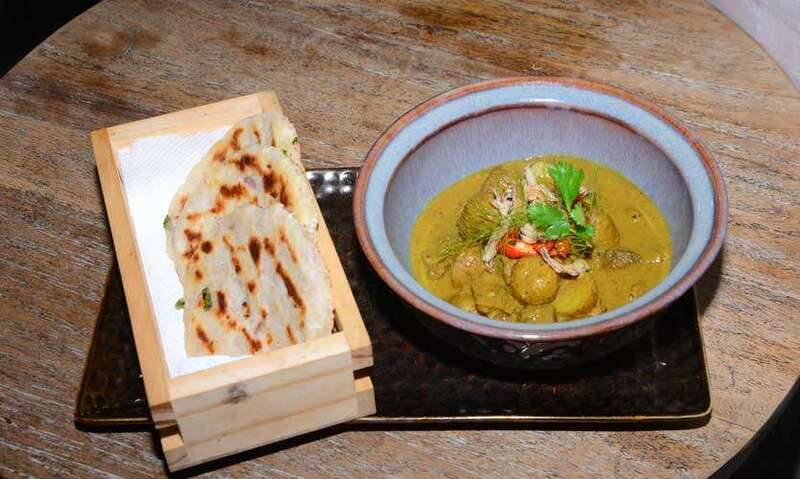 The Beef Massaman Curry is a Thai-style braised beef curry with baby potatoes, coriander and sliced chilli that can be accompanied by a side of coconut ‘roti’ or jasmine rice. The gravy is very unique and a perfect blend of spices. 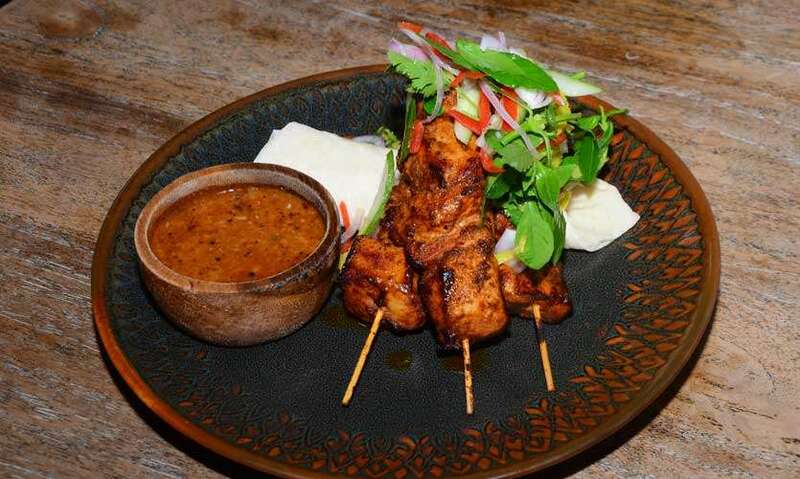 The chicken is soft, tender and flavourful in the Chicken Satay Ayang, which is spiced chicken satay brushed with coconut milk, topped off with raw mango salad and served in a pita pocket with a delicious peanut sauce, in which you can taste the distinct flavour of lemongrass. If you’re trying out the Crispy Crab Meat Bao for the first time, the bun is fluffy, soft and a delight to sink your teeth into. 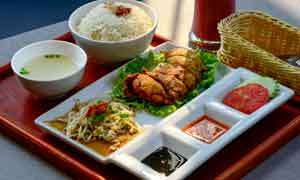 Filled with teriyaki crab meat that’s batter fried to crispiness, the dish is served with a homemade fusion teriyaki sauce, which has a very unique and almost sweet taste due to the jaggery present in it. The Chef serves a vegetarian option as well. 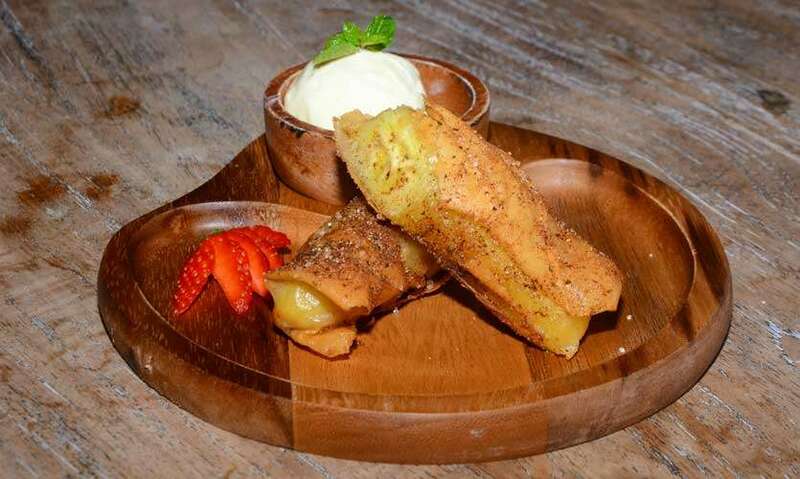 You will love the Cinnamon Banana Spring Rolls with Vanilla Bean Ice Cream which is a banana wrapped and fried in a spring roll sheet, sprinkled with cinnamon sugar on top and served with a soft and creamy French Vanilla ice cream specially made for the restaurant. 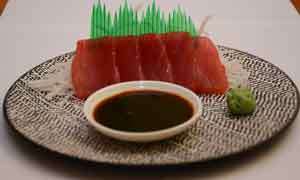 Ask for Fern has new and exciting additions to their menu, and lots of fun-filled events lined up for the season. You definitely do not want to miss out on being a part of all this. Chef Tyrone’s sauce recipes are top secret and he won’t reveal anything (we tried), so if you find a way to get them out of him, please do let us know. restaurant/ indoor and outdoor seating/ bar/family friendly/ dine in facilities, etc.